MAY 2018: HAPPY BIRTHDAY KAWAII BOX! Take a peek which cute kawaii things were included in the May Kawaii Box! 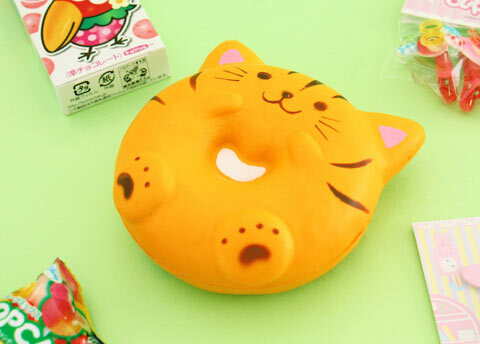 Is this squishy a doughnut-shaped cat or a cat-shaped doughnut? Squish it to relieve stress and bring joy to your day! 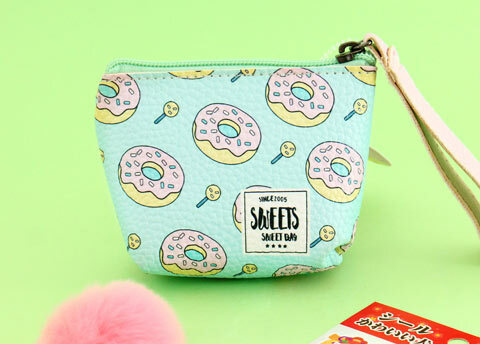 This mini purse is decorated with cute doughnuts and is perfect for money, keys and other small daily items. These cute Sanrio characters are here to help you stay organized in the cutest possible fashion! 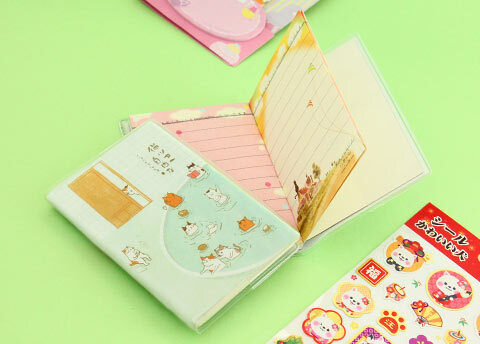 Cute mini notebook decorated with cats enjoying a Japanese onsen bath. Perfect size to keep with you always! Small stickers depicting kawaii animals enjoying different Japanese traditions. Decorate your planner or calendar! 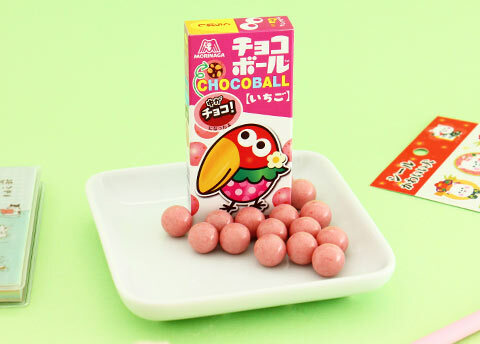 Chocoball is one of the most popular Japanese sweet treats. The box is decorated with Kyuro-chan, the mascot bird! 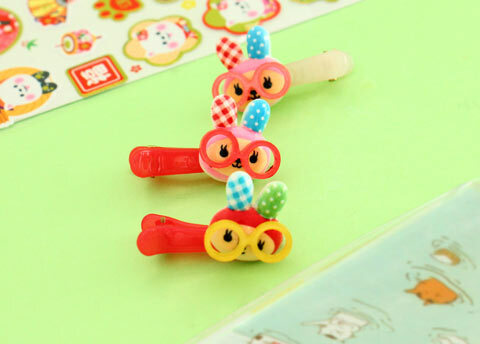 Express your kawaii geek-dom with these cute hair clips and make your style unique and kawaii in seconds! 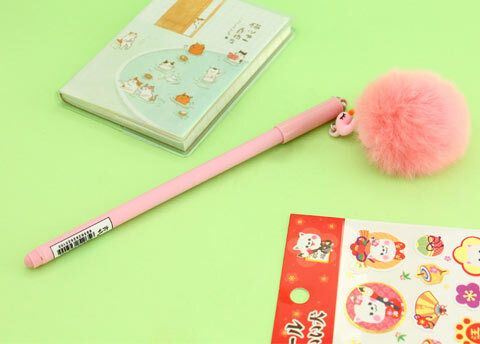 The cutest pen imaginable! 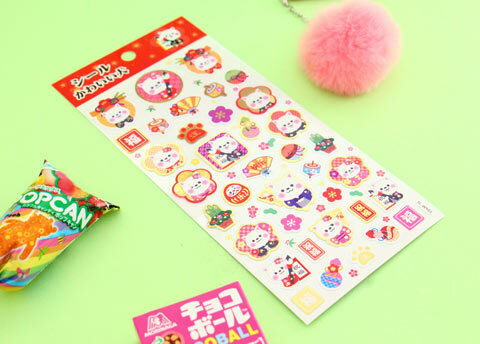 Fill your planner with kawaii notes or remove the flamingo pompom and hang it on your bag! 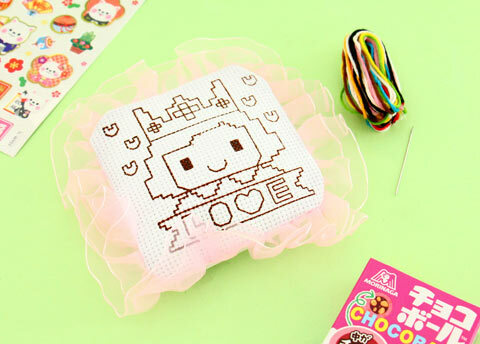 Get creative with this Korean DIY Cross Stitch kit and learn the basics of cross stitching. Fun for a rainy day! 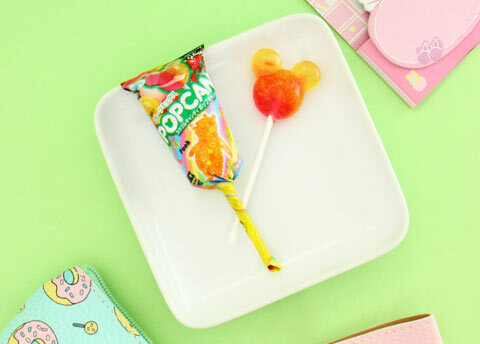 Treat yourself to some Japanese Disney magic with this sweet Mickey shaped lollipop. 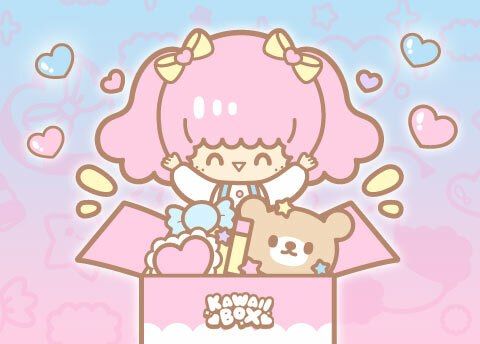 Subscribe now and your first kawaii subscription box will ship in a few days!